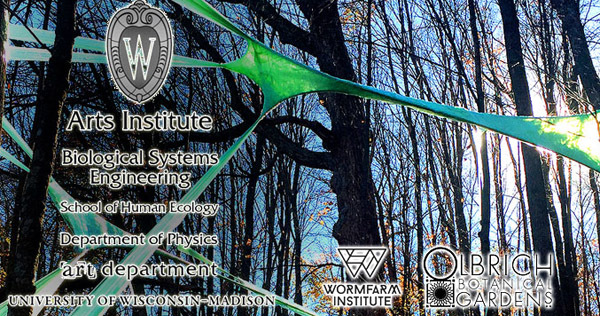 Peter Krsko's residency is presented by the UW-Madison Arts Institute and hosted by the Department of Biological Systems Engineering. Co-sponsors include the Departments of Art, Design Studies, and Physics. The visiting artists are Dan Steinhilber and Katie Schofield. Through interaction with the students, Krsko focuses on developing a new body of sculptural work and project-oriented lesson plans that further promote the topics of biomimetic/bioinspired art and science/art intersection to the general public. The goal of this residency is to develop novel concepts, methods and materials in order to create new artwork, and more importantly, advance new bioinspired solutions to current societal challenges. Krsko will focus on student interaction, project-oriented learning and the development of new original artwork. This artwork will be exhibited in a gallery and published in this online resource www.zoethica.com, with the goal of continuing to educate the public about bioinspired systems after the residency’s conclusion. Students will engage in a hands-on study of the natural world utilizing modern instrumentation. Krsko will guide students to observe natural materials, organizsms and systems at micro-, meso- and macroscopic levels. During this process, students will analyze artistic and scientific approaches to studying nature and develop novel materials and systems based on natural concepts. The students will review current literature, engage in lab measurements and develop their own artwork (to be exhibited at the end of the semester) as well as creating bioinspired STEAM curricula for the Zoethica website. In 2006, while working on a Ph.D. in Biophysics and Materials Science, Krsko discovered a way to use a traditional scanning electron microscope as a focused electron beam lithography instrument, enabling him to create artwork viewable only with a microscope. After receiving his degree, Krsko was awarded a fellowship at the National Institutes of Health, where his interests expanded into medically-relevant biological communities, bacterial biofilms, bioinspired materials, colors and vision and the combination of science and art in order to develop unique lesson plans for young students. He continues providing educational services to schools, summer camps, after-school programs and correctional facilities today. Krsko also creates collaborative and community public art, such as sculptures and murals, inspired by biological concepts of diversity, differentiation, participation and co-ownership. His sculptural installations mimic the structure and form of natural entities as well as the dynamics and laws of interactions among members of the ecosystems. This work has been presented in numerous galleries, festivals and publications. Katie Schofield combines traditional crocheting techniques with new material and hyperbolic geometries. The resulting sculptures share many similarities with sea coral, especially the large surface area to volume ratio. The corals, as organisms residing on the sea bottom, intake nutrients by filtering their environment. The more water they can filter through their bodies, the more nutrients they obtain. Schofield explores unique ways to maximize the surface area of her pieces by group assemblies of hyperbolic shapes. Working with Schofield, the students will stretch their mathematical imagination literally into new dimensions. 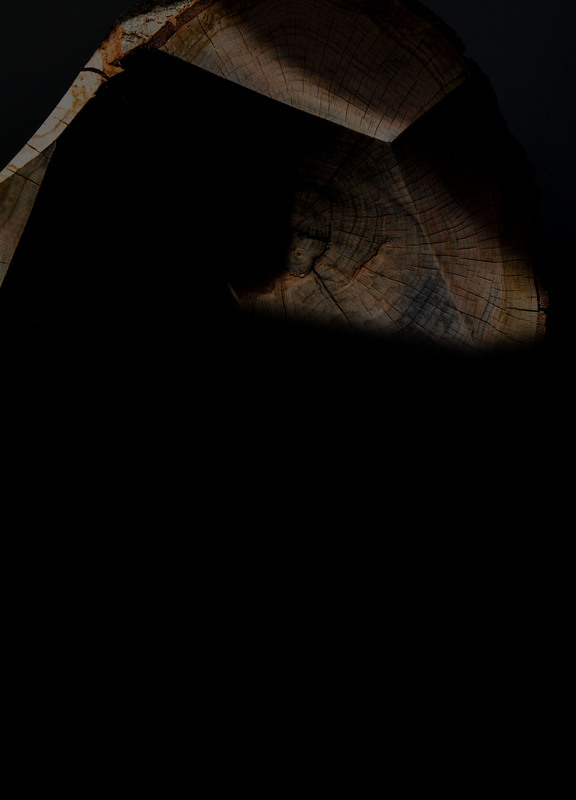 Dan Steinhilber is a sculptor, whose original approach to utilizing new sculptural material has been widely noted. His recent research and development in areas of robotics and mechanical systems is inspired by soft body organisms, such as jellyfish or unicellular organism. His artwork explores very similar approaches in order to reach new definition of shape and volume, whether static or dynamic. Besides transforming two-dimensional shapes into three-dimensional objects, the students through Steinhilber's lessons will also get a chance to investigate fluid mechanics, pressure gradients and how a system in equilibrium results in a mechanical movement.